Value-added tax (’VAT’) applies to goods and services used for production, trading and consumption in Vietnam (including goods and services purchased from abroad). In each case the business must charge VAT on the value of goods or services supplied. VAT payable is calculated as the output VAT charged to customers less the input VAT suffered on purchases of goods and services. For input VAT to be creditable, the taxpayer must obtain a proper VAT invoice from the supplier. Entities in Vietnam can use pre-printed invoices, self-printed invoices or electronic invoices. The VAT invoice template must contain certain required items and must be registered with the local tax authorities. • Goods imported in the following cases: international non-refundable aid, including from Official Development Aid, foreign donations to government bodies and to individuals (subject to limitations). There are three VAT rates, as shown in the table below. In addition, VAT is levied on imported goods. 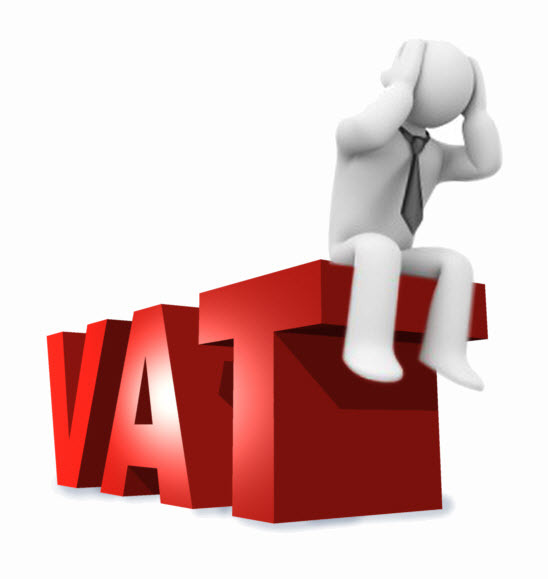 VAT is calculated on the import dutiable price plus import duty plus special sales tax (if applicable). The importer must pay VAT to Customs at the same time that they pay import duties. 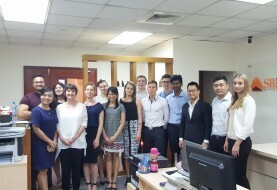 • The foreign company has no permanent establishment (’PE’) in Vietnam (PE is not defined in the VAT regulations and the definition under the domestic CIT regulations will apply in this respect). 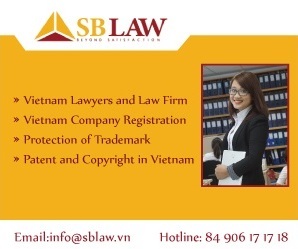 • The foreign company is not a VAT payer in Vietnam. Various supporting documents are required in order to apply 0% VAT to exported goods and services, e.g., contracts, evidence of payment via bank transfer, customs declaration (for exported goods only) and in respect of exported services, a confirmation by the foreign customer that it does not have a PE and is not a VAT payer in Vietnam. • Commissions from the sale of goods/services not subject to VAT. Input VAT credits can be claimed in the month in which the invoice is issued. For imports, input VAT credits are based on the date of payment to the Customs office. Input VAT credits can be declared and claimed within 6 months from the month in which they arise. If a business sells exempt goods or services, it cannot recover any input VAT paid on its purchases. This contrast with the application of 0% VAT or not subject to VAT, where the sales are within the VAT system, and hence input VAT can be recovered. Where a business generates both VATable and exempt sales, it can only claim an input VAT credit for the portion of inputs used in the VATable activity. All organisations and individuals producing or trading in VATable goods and services in Vietnam must register for VAT. In certain cases, branches of an enterprise must register separately and declare VAT on their own activities. Taxpayers must file VAT returns monthly, by the 20th day of the following month. Taxpayers paying tax under the deduction method are not required to lodge an annual VAT finalisation or reconciliation. 0 This rate applies to exported goods including goods sold to enterprises without permanent establishments in Vietnam (including companies in non-tariff zones), goods processed for export, goods sold to duty free shops, exported services, construction and installation carried out abroad or for export processing enterprises, aviation, marine and international transportation services/export goods & services/construction or installation for Export Processing Enterprise’s Fixed Assets..
• sugar and its by-products. 10 This ’standard’ rate applies to activities not specified as exempt, not subject to VAT or subject to the 0% or 5% rates. Personal Income Tax Rate applicable for resident tax payer in Vietnam. Import of playing cards - taxes"